During the visit, Col. Refsgard talked with Colonel Katarina Strbac, Director of the Directorate, as well as with representatives of the Defence Policy Sector, Human Resources Sector, Military Medical Academy and Air Force & Air Defence Command. On this occasion he expressed personal satisfaction with the bilateral cooperation and the implementation of the projects agreed so far. Importance of further qualitative improvement and development of relations was emphasized, in order to efficiently cope with contemporary security challenges. During the three-day visit, four protocols on donations by the Ministry of Defence of the Kingdom of Denmark to the Ministry of the Defence of the Republic of Serbia were signed. 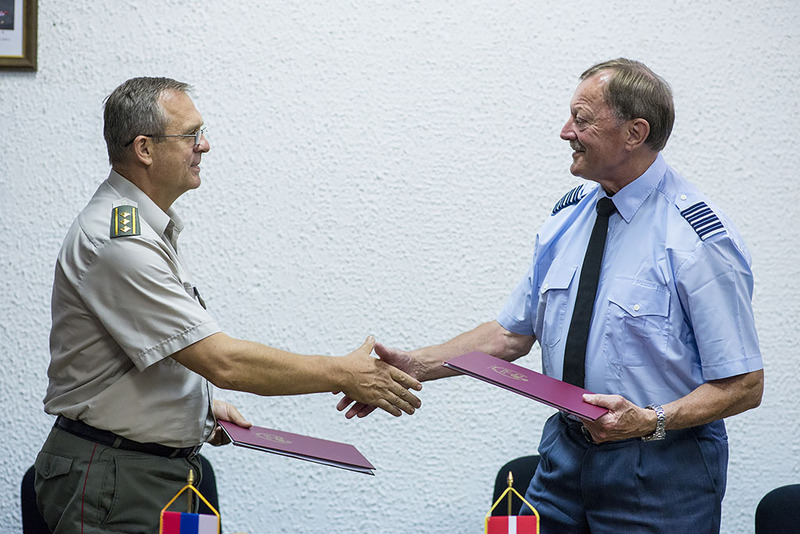 The first protocol on donation of the IT equipment, worth 28.000 euro, was signed on June 28th 2016 in the Department of Telecommunications and IT of the Serbian Armed Forces, in order to promote a fast and secure Internet access to the organizational units of the Ministry of Defence and the Serbian Armed Forces. Second protocol on donation of the IT and didactic equipment, worth of 7.860 euro, was signed in the Department for Development of Psychological Activities, the MoD Human Resources Sector, on June 29th 2016, for the purpose of improving the psychological prevention and response in crisis. On the same day, the third protocol was also signed, on donation of software, IT and office equipment, worth 8.500 euro, for the Cabinet of Psychiatry at the Military Medical Academy. On the last day of the visit, the third protocol was signed, on donation of tests for cognitive ability and specific trait of personality assessment, worth 14.000 euro, to the Department of Psychology in the Air Medical Institute. Realization of the projects will be completed by the end of 2016.